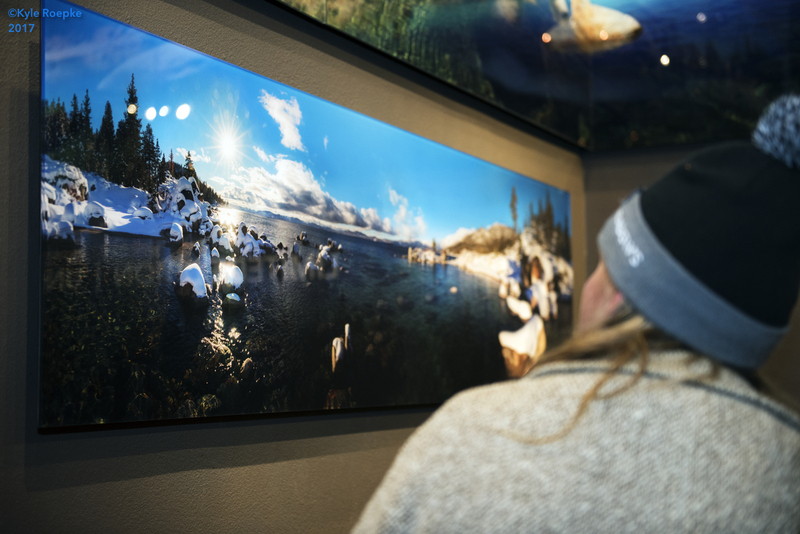 On Saturday, March 4, 2017, we had our new image release reception, January…Just Add Snow and it was a huge success! 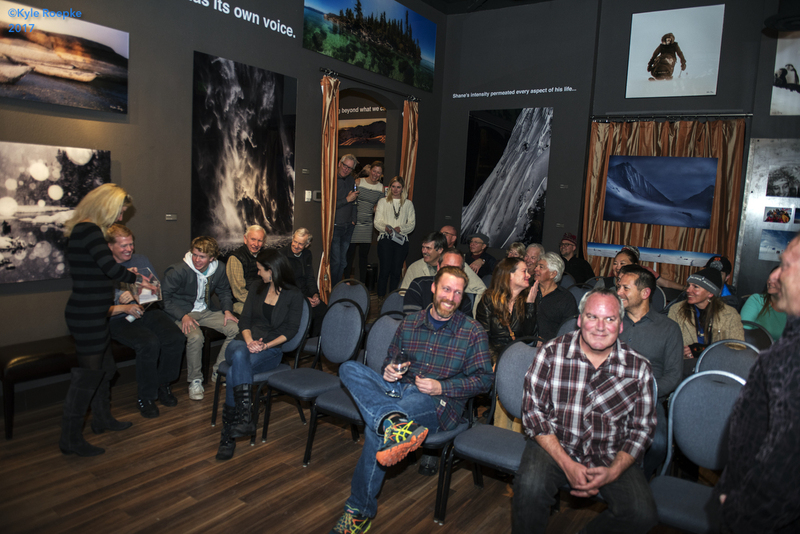 The evening included a slide show presentation of recent trips to Revelstoke, British Columbia and Hokkaido, Japan, along with a new video showcasing the making of “Snowshore”, Keoki’s most recent pentimental stitch. If you missed it, you can view the video here. Check out a few images from the event! 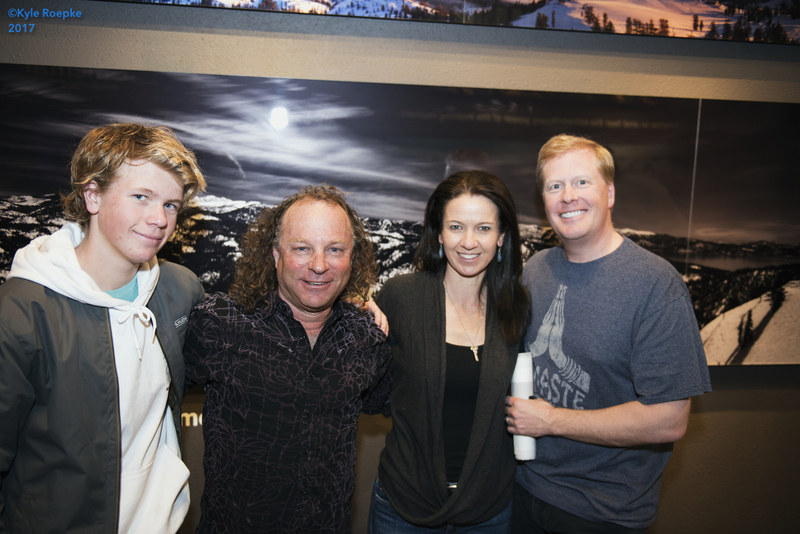 Keoki Flagg with Will, Michelle and Brian Sharpes. 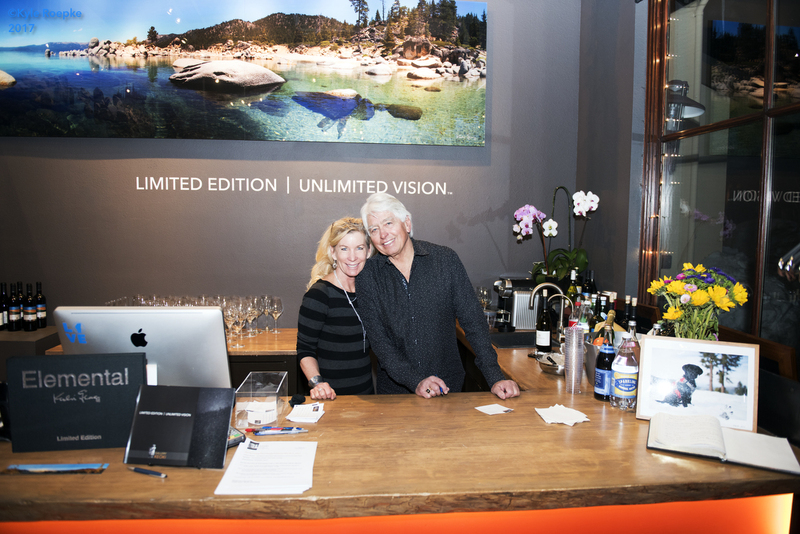 Gallery Keoki’s Owner, Lynn Gibson with Gary Davis. We were welcomed with a beautiful snowfall for the opening reception of January…Just Add Snow. We planned this! 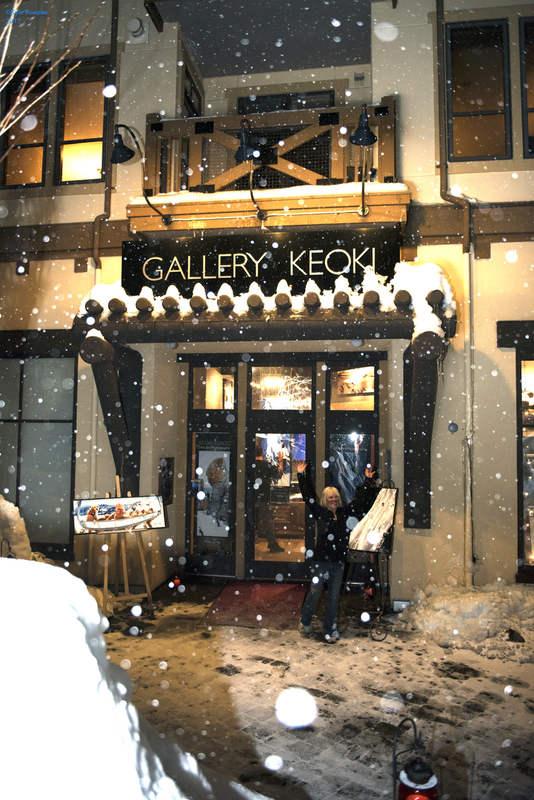 Grabbing seats for Keoki’s slideshow presention, January…Just Add Snow. One of Keoki’s new images, “Snowshore”. 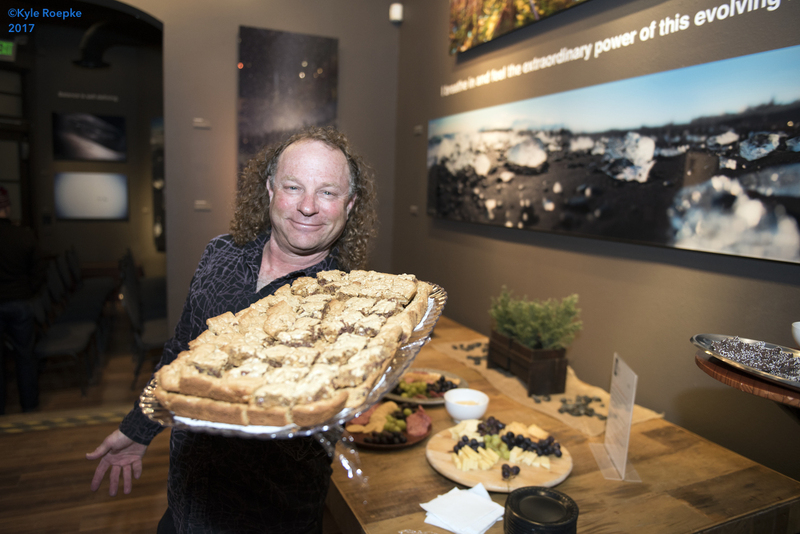 Is it ever truly a Gallery Keoki event without Edwina Flagg’s homemade cookies? This entry was posted in Uncategorized and tagged Adventure Photography, Fine Art Gallery, Fine Art Photography, Gallery Keoki by keoki. Bookmark the permalink.